Before you start with your email campaigns, you have to learn a few things about the importance of choosing the right services. There are a lot of email campaign companies online that offer different services or rates that it’s hard to choose the best one for your campaigns. Go to EmailShoot.com and let them help you compare email marketing companies so you don’t have to spend time doing so. Go over 200 email marketing companies in their list and compare ones that have caught your interest. After choosing the right company for your campaign and budget, you can now start your campaigns. Building an email list takes time, effort and money on your part since you are the website owner. 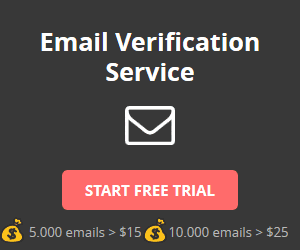 Email campaigns allow you to connect with your users immediately that’s why many marketers make use of this technique. Whenever a user signs up to your site they will enter data such as name, username and email to get started. These data are stored in your website’s database so you can use them for your campaigns. Use an email address checker before you send out your email campaigns since your list may contain invalid emails. There are times where the user mistypes or uses and invalid email intentionally or not. This is where an email address checker comes in handy. They will go through every address on your list and check for validity and deliverability. These are important especially when your sender reputation is on the line. If your addresses are error free then you can be rest assured that all your email campaigns will be delivered and will land in your recipient’s inbox and not on their spam folder. It’s important that these will reach your users or what’s the use of an email campaign? Email campaigns are one of the most successful and have a higher conversion rate when it comes to clicks and leads so better make sure you have a large list and a clean one as well.